Former WTA world No. 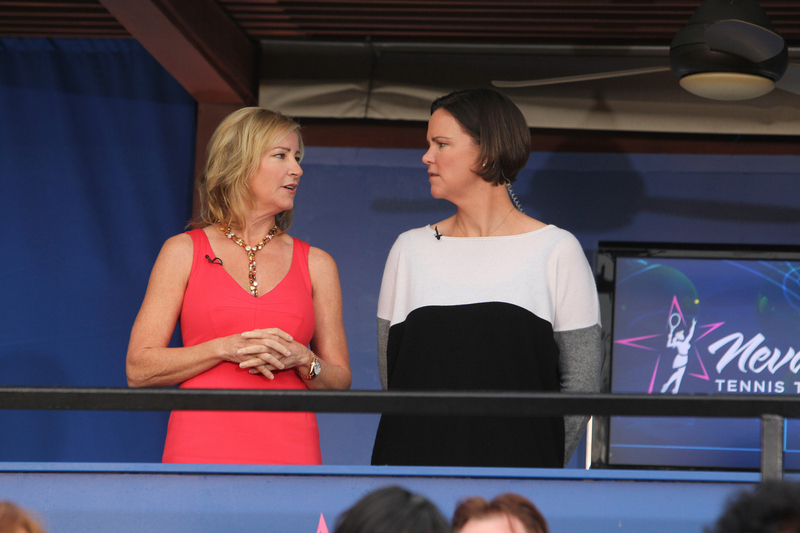 1’s Chris Evert (left) and Lindsay Davenport each play themselves as announcers in this scene. Photo: Monty Brinton/CBS ©2012 CBS Broadcasting, Inc. All Rights Reserved.